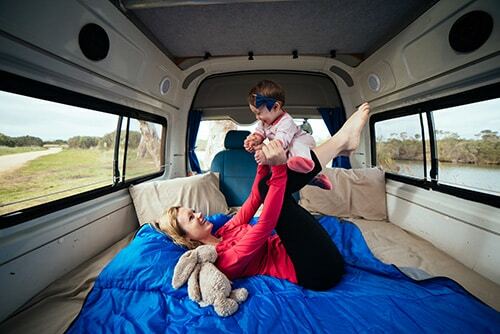 If you plan to travel in a campervan with children, please be aware of the laws and policies in place. Each state in the USA has different laws in place regarding child restraints. It remains the renter’s responsibility to adhere to that state’s guidelines. our vehicles in the USA. In California it is only allowed from the age of 8 years and in Nevada only from the age of 6 years. For more information, please see our Child Restraint Guidelines.